As a fan of webtoons and manga, it’s always exciting to see some of my favorite two-dimensional stories and characters come to life through live action Kdramas. Whether it’s a faithful adaptation or an interesting spin on the original source material, this list highlights some of the most successful Korean dramas that are based off of webtoon or manga. Full House is an iconic Korean drama about a fake marriage contract between an arrogant actor who lives in the same house as an ordinary yet sassy aspiring writer. 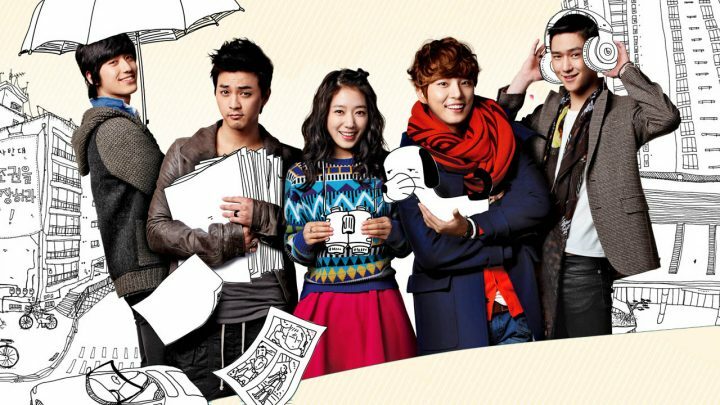 The drama stays quite faithful to the manga it was based on, with expert acting performances to bring the characters to life through sweet and romantic scenes, or laugh out loud comedic moments. The premise may be simple, but it’s superb execution established it as the bedrock of the ever-popular romantic comedy Kdrama genre. Goong is based on the same name Korean manhwa that takes place in an alternate Korea, where the monarchy still rules. An ordinary high school girl finds herself betrothed at birth to the Crown Prince, and eventually ends up falling in love with this seemingly aloof aristocrat. The drama follows the original source material well and is able to enliven the spirits of modern day royal families through every little detail, making the whole setup believable. The original Japanese manga, Hana Yori Dango, has had many live action adaptations across a few different countries prior to the Korean version already. The plot of the drama matches the manga at a high level: a poor girl gets accepted into a prestigious school where she encounters F4, a group of rich heir bullies who rule over the school. However, while the Korean drama includes many plot points and characters from the manga, it also introduces a side romance that wasn’t in the original, which gave it a refreshing spin compared to other adaptations. 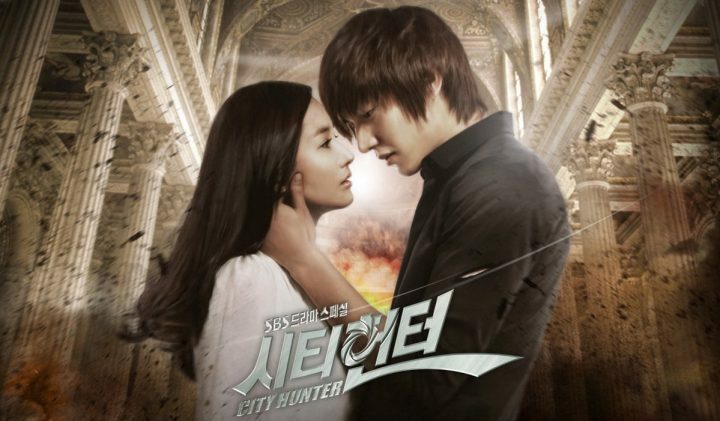 City Hunter is the story about a young man trained to take revenge on the people who killed his father. 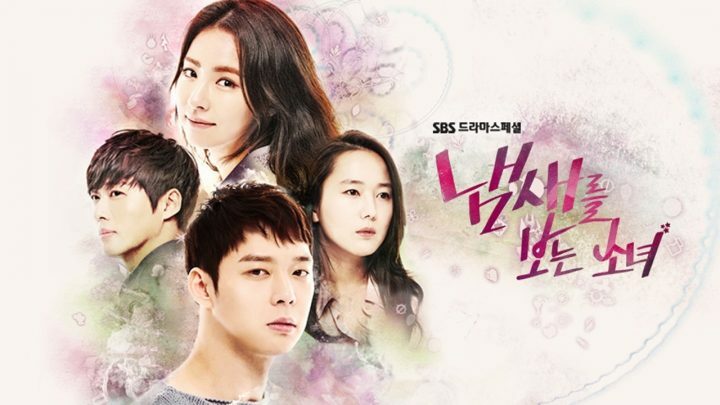 The Kdrama is a great blend of melodrama, action, and romance. It doesn’t make things overly complicated as some political based dramas can be, but rather, is easy to follow along. Some minor details were changed from the original manga, such as the hero’s job, to make storytelling more compelling. But despite this, the drama is a largely successful take on the original work. Bridal Mask is a slightly modified drama from the original popular graphic novel that sets stage in the tumultuous 1930s, where Korea is under hostile Japanese occupancy and ruling. The story follows our hero, a Korean police officer who works for the Japanese Police to keep his own people in check. As he hunts a mysterious man who assassinates Japanese policeman while wearing a traditional Korean mask, he embarks on a journey to fight for his countryman’s freedom. This drama packs in a full feast of intense action scenes, overflowing patriotism, ill-fated friendships and romances, and of course, heart-wrenching betrayals. Flower Boy Next Door introduces the concept of two very different kinds of people living in the same apartment complex. The heroine is an introverted editor who is extremely shy and rarely leaves her apartment, while the hero is the polar opposite, being an energetic and boisterous gaming genius. Their paths cross and spark an unlikely romance despite their different personalities. I especially enjoyed this drama for its offbeat characters and quaint writing. Misaeng is a workplace drama that follows the life of an ordinary office worker and other interns at his job. Although it may seem like a simple slice of life kind of show, it’s incredibly realistic and relatable in terms of its characters, their relationships, and the portrayal of work life. It’s a quiet, yet powerful and thought-provoking drama. Part of Misaeng‘s success can be attributed to the fact that the original writer of the manhwa helped write parts of the drama’s script, further infusing the original manhwa’s spirits into the show. 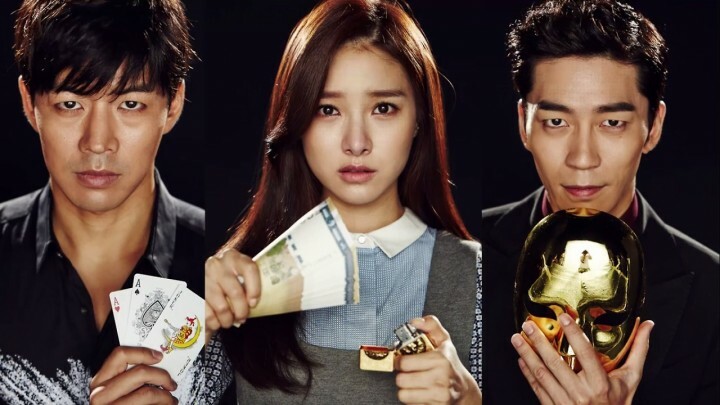 Liar Game is based on a Japanese manga of the same name, where the heroine participates in a reality show that encourages cheating and tricking other contestants to win the ultimate prize. The Kdrama version differs from the manga in many ways. New characters and backstories not in the original manga were added while keeping the core themes. The characters are all interesting in their own ways and the mind games they have to play are exhilarating to watch. The drama is successful due to its ability to take a fresh new spin on the manga with tight writing and effective execution. This Kdrama adaptation follow the webtoon’s central storyline of a girl who can see smells joining hands with a detective to solve a serial murder case, but takes on a whole new vibe. While the webtoon was more ominous and dark, the drama focused on romance and comedic scenes to lighten up the mood, which appealed to a broader audience. The supernatural aspect of the original webtoon can be tough to translate from comic to live action. But instead of going for realism, the drama did a good job interpreting the scents as cartoonish visualizations. Lucky Romance is a fairly faithful live action adaptation of its original webtoon series. Like its title suggests, it’s a drama where luck is the prevailing theme as it follows the superstitious, eccentric heroine on her journey to finding true love in a polar opposite, rational-driven hero. The highlight of the drama is both lead actors’ ability to inject life and soul into their respective characters and make us fall in love with their quirkiness. What’s your favorite webtoon or manga turned Kdrama series? Be sure to share with us in the comments section below. Where is “I can’t touch you” (untouchable) and orange marmalade?